One of my favorite things about the holidays is the food. I mean seriously who doesn’t love holiday themed food? 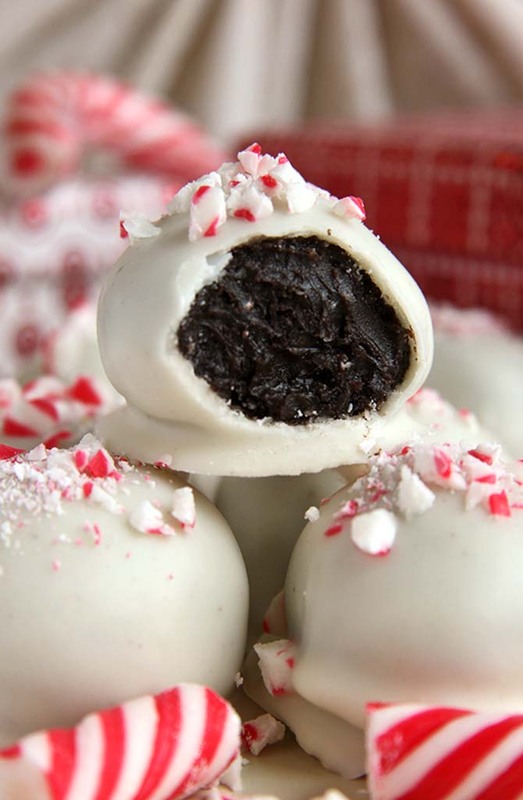 This truffle is a twist on the Oreo cookie truffle. Okay, it’s not exactly Christmas time yet, but hey we can pretend. As an alternative you can use used mint filled Oreo’s instead of the original kind. If you do, it will make your Candy Cane Oreo Truffles extra minty. Remove truffles from freezer and dip in melted chocolate. Return to baking sheet, immediately sprinkle tops with crushed candy canes then allow chocolate to set. Store the truffles in an airtight container in the fridge for up to 5 days.